What a fantastic first event we had. Great food and a warm group of participants. With all the feedback that we have received, we strive to do better for each workshop. We have now finalised our venue and it will be at Allspice Institute. A magnificent space with fully equipped stations. We look forward to sharing a fun filled (and tasty) afternoon with you. Get in quick before spaces run out! Learn how to prepare tasty and nourishing plant-based Peranakan dishes. Discover why plant-based whole foods are beneficial for sustainable weight loss and achieving long term health. Learn how to substitute healthier ingredients for age old recipes. Learn a new way of eating that helps you look and feel younger. Marrying the rich culture of Peranakan heritage cuisine and modern flavours of raw plant-based food, we bring you Plant-Based Peranakan. Where the old collides with the new, where flavour meets health. 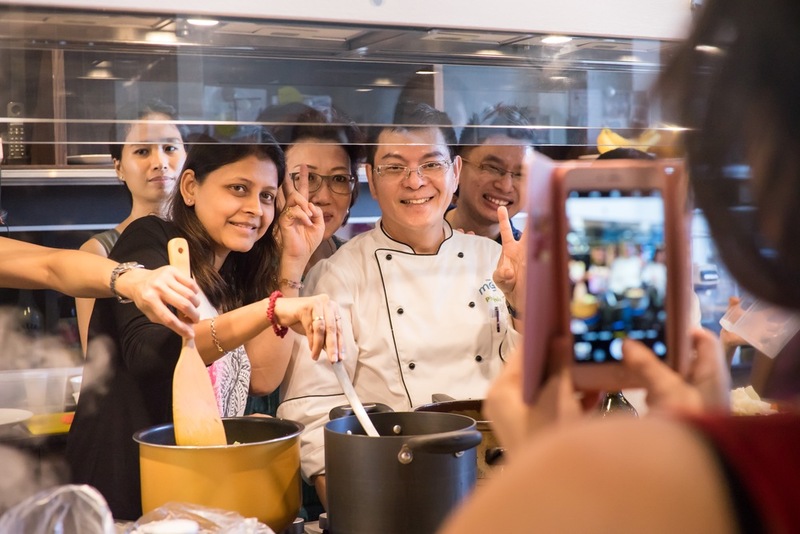 Adopting a whole foods plant-based approach, you will learn how to cook healthy Peranakan that is good for you. A whole foods plant-based diet is fast becoming the answer to achieving optimal health. From the reversal of chronic degenerative diseases (eg: heart disease, diabetes), to improving detoxification and boosting energy, plant-based nutrition is the safest and easiest way for sustainable weight loss. Read related article on the sustainable weight loss here.